Pain from a toothache can be quite intense. And whether it is a sharp intermittent sensation or a dull constant throbbing it can make anyone feel miserable. Trying to figure out what is causing the pain and treating it may seem frustrating. But, when is a toothache serious? It is best to contact your dentist for an evaluation, as tooth pain may be indicative of a looming issue. Allow a professional to create the best course of action that will correct the problem and offer relief. Here are some common reasons for toothaches. If you experience sensitivity when drinking hot or cold foods it could indicate gum recession or enamel loss, usually caused by aggressive brushing. Sensitivity or intense sporadic pain could also signify a cavity, an abscess or a cracked tooth. And, if the tooth already had a filling, all or part of it may have come loose or fallen out. If one or more of your teeth are constantly aching, then nerve damage could be the culprit. The damaged nerves could be a result of grinding your teeth, severe tooth decay, or trauma from an injury. Have you suddenly experienced a severe throbbing pain accompanied by a swollen face? These might be signs of an abscessed or infected tooth. There are many health risks involved with an abscessed tooth, so contact your dentist immediately if you experience this symptom. If it is painful when you chew or eat, the culprit could be tooth decay. Or if you already have a filling in the tooth it could be loose or knocked out. Lastly, pain when eating may be caused by a slight fracture in a tooth. Pain in the back of the jaw may be from impacted or slightly erupted wisdom teeth. However, this pain may also be associated with unconscious tooth grinding or TMD (temporomandibular disorders). TMD may also cause pain in your whole face. These are only a few of the types of toothaches folks experience. They range in severity and sensitivity from person to person. An intermittent pain is definitely worth a mention at your next dental check up. However, a sudden onset of pain that lasts should prompt you to take immediate action. Regardless of the pain or severity, it needs a professional evaluation. Remember that your dental health is related to the overall health of your body. The good news is that modern technology allows your dentist to identify the source of your pain better. He or she will help determine whether your toothache is serious. 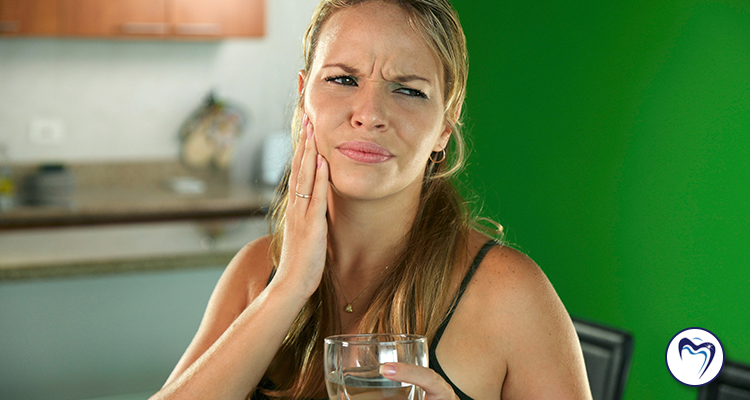 Are you experiencing an unexplained toothache? Contact the team at Denise Dental Studio today for an appointment. We offer the best comprehensible dental care in the Annapolis Area.